JLC - 2 improved pictures of the Jaeger Lecoultre Master 8 Days Perpetual Calendar Skeleton. 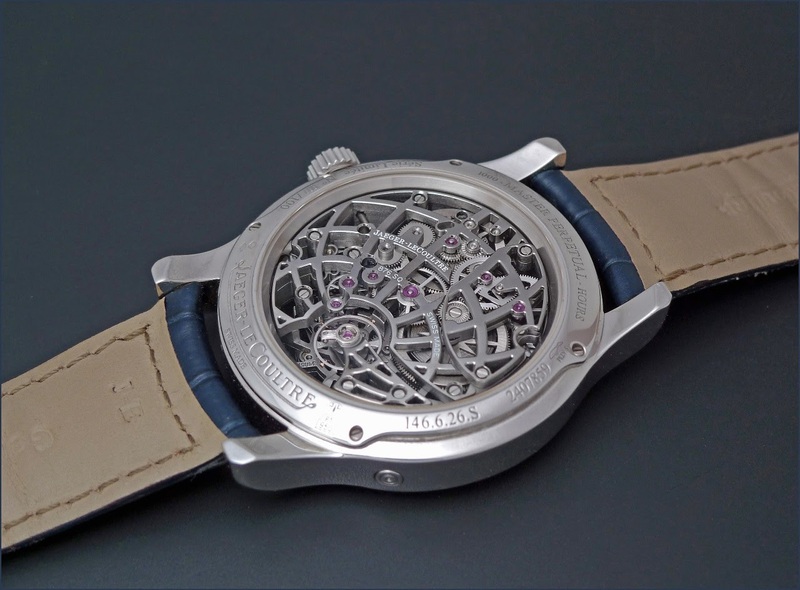 2 improved pictures of the Jaeger Lecoultre Master 8 Days Perpetual Calendar Skeleton. Bigger size picture, cleaned, reworked... This watch is a marvel. It was love at third sight, as love at first sight was for or with the Duometre à Chronographe and the Extreme Lab One. I knew I will have the Duometre, that was clear to me, and I worked on the idea to get the 8 Days Perpetual Skeleton. Which happened in September 2009. 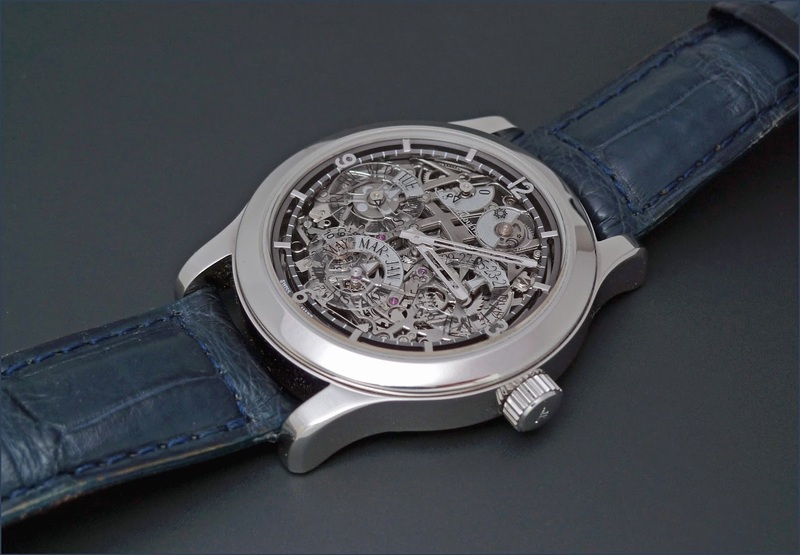 I have something for the Perpetual Skeletons: I am totally in love with the Royal Oak PC Skeleton, for example. But this Jaeger Lecoutlre was, in my heart, a bit above, because of its 8 Days movement, which is a plus for a perpetual calendar, as it allows you to wind it only once each 8 or 9 days. I totally agree on the 8 day movement putting this one over the top. That movement it's quite a show, front and back view.